The performing arts - a subset of the fine arts in which artists themselves present (that is, perform) their work before a live audience – hold a special place in the hearts of many. School plays and music recitals comprise some of their earliest memories for international students, ensuring that fields as diverse as theater, dance, music, and even spoken word loom large in the personal history – and career aspiration - of many students who want to study performing arts. The performing arts also hold a special place in the United States’ proverbial childhood. In fact, the history of performing arts in the United States predates both the country and even the term “performing arts” itself. Indeed, before the term “performing arts” was coined in 1711 (and well before the establishment of the first English colony in North America in 1607), Spanish settlers and Native American tribes performed theatrical events in what is today known as the United States. Although early, religiously-motivated settlers banned many examples of the performing arts. These laws were relaxed over time and as early as 1730 Shakespeare's Romeo and Juliet was first shown in New York City. More impressively still, the country’s first ballet was performed only five years later. Although amateur companies have earlier roots, the then-English colony’s first professional theater company formed in Charleston, South Carolina in 1752 and performed its first play, the Merchant of Venice, on September 15, 1752. While the first performances featured European plays interpreted by European actors, the first all-American production—The Prince of Parthia, by Thomas Godfrey—was staged in 1767, ten years prior to the American Revolution. Still, despite this independent streak, for much of the first century of its existence, American performers continued to look to Europe for their performing arts education. Indeed, as long and illustrious as America’s performing arts history is, the history of performing arts schools in the US does not formally begin until after the Civil War. Indeed, it was only in 1870 that what is today known as The University of the Arts, but was then called the Philadelphia Musical Academy was established in the "City of Brotherly Love". It, like the Juilliard School in New York 35 years later, was formed on the expressly to help the country’s musical talent (who had been forced to go to distant Europe to pursue their musical studies) train closer to home. In the century since its foundation, the Juilliard School’s reputation has grown and an increasing number of colleges and universities have joined the ranks of performing arts schools in the US. Today the landscape has shifted wildly. Where American students once went abroad to study, today international students come to America to study performing arts. Many are drawn to schools like Juilliard which are dedicated to a single aspect of the performing arts, while others prefer the interdisciplinary approach of schools like The University of the Arts, which allows students to work at the cutting edge of the industry by blending its many forms. Not that all performing arts schools in the US are stand-alone institutions. 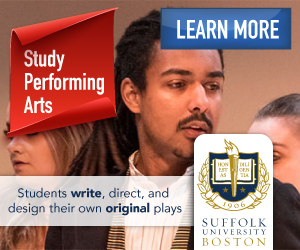 Some of the country’s best colleges and universities have world-renowned performing arts programs. Yale University, for example, draws international students not only for its world-class reputation but also its storied School of Drama. Likewise, nearby Brown University, continues to build on its legacy of excellence with its highly-esteemed Department of Theatre Arts and Performance Studies. Moreover, well-respected programs extend well beyond the Ivy League and into almost every state in the country, where many public and private universities offer fine arts programs. With the sheer number of schools available, the options are practically endless – and the career possibilities practically limitless. With a performing arts degree graduates can work on their craft as well as in fields as diverse as arts management, event coordination, performance production, art direction and program administration. Thus, performing arts in the US can look forward to a future twice as bright as its illustrious past.